EDIT: Giveaway is officially over. Congratulations to Linda Meyers-Gabbard for submitting the randomly chosen 702nd entry. Have you dragged your holiday decorations out of the attic and dusted off the Christmas wreath yet? One reader will win the above sterling silver band by Kate Szabone Jewellery and get to hang a wreath ring around her finger during any season. The design is reminiscent of a budding rose branch. The band looks simply lovely on its own, but can be stacked with two or more rings. Kate even makes a matching engagement ring, available in 14k white, yellow or rose gold and set with a rose cut diamond or moissanite stone! Walking through the wonderland of Kate's online shop is a beautiful sight. Her jewelry is inspired by the simplicity and complexity of nature, the Art Nouveau movement and her mother - a photographer, spinner and fibre artist. Kate uses a range of recycled metals, natural gemstones and conflict-free diamonds whose sparkles are even breathtaking in her product photos. Her love for every aspect of designing and listing jewelry is apparent. It all melds together and creates a great experience for her and her customers. Use the Rafflecopter below to enter to win Kate Szabone's jewelry giveaway before 11:59pm EST on December 5, 2012. Be sure to leave the mandatory comment on the blog post with the same name you use to fill out the Rafflecopter - all entries by winner must be easily verified or a new winner will be chosen. I would love to win this ring. It is gorgeous! Shoot, I forgot to put my favorite thing. I love the eucalyptus branch necklace. It is beautiful. I love the Oval Light Yellow Sapphire ring! Gorgeous! My absolute favourite is - and has been for a long time now - 7 Stone Bezel Set Diamond Band. So gorgeous! Aaaand obviously, forgot to add my e-mail. love the bezel set twig ring! I love her stuff! Its all so pretty! My fav piece is the PADPARADSCHA SAPPHIRE AND DIAMOND HALO RING. It is STUNNING!!! You had me at hello. Seriously, I was so struck by the wreath band from the moment I saw it -- it's my favorite. Love the organic double oval necklace! Kate made my wedding rings 3+ years ago... love everything but my favorite has to be the rose cut diamond rings. I would love any ring in the white or periwinkle sapphire. Everything is just gorgeous. I love the Round Moissanite and Diamond Halo Ring! Linh said: I really love all of Kate's jewelry. The wreath is one of my favorites because of its simplicity! Wow- incredible art! I LOVE the Moissanite Solitaire Branch Ring- amazing. I love this one....http://www.kateszabone.com/oval-dark-blue-sapphire/.....ciao4now64 at yahoo dot com. I love the Bezel Set Twig Ring! Love this bracelet. It is so unusual! I love everything about this ring )Cushion Cut Morganite and Rose Gold Ring) - the size, shape, cut and colour of the stone and the colour of the band. I like the Vintage Petal Diamond Ring, but honestly..everything on her site is gorgeous.. I adore the BRANCH HALO STUDS! Love the ring and rosebud earrings! I liked moosey handmade in FB too. All the jewelry is stunning and my very favorite thing are the silver branch bangle bracelets!! The petite bezel band is beautiful!! My favorite item is: http://www.kateszabone.com/white-gold-diamond-leaf-halo-ring/. I like the Emerald cut pink Sapphire ring. I like the rose gold vintage petal diamond ring. The silver branch ring is simply elegant. The ANTIQUE SQUARE MOISSANITE AND DIAMOND HALO RING is absolutely BEAUTIFUL! I love it. My Favorite item is the giveaway ring! It's stunning! I love the rose cut trillion sapphire ring. Thanks for the chance. Your work is absolutely breath-taking!!! The rings are divine, especially the http://www.kateszabone.com/oregon-sunstone-and-diamond-ring/ it has to be my favorite by far!!! 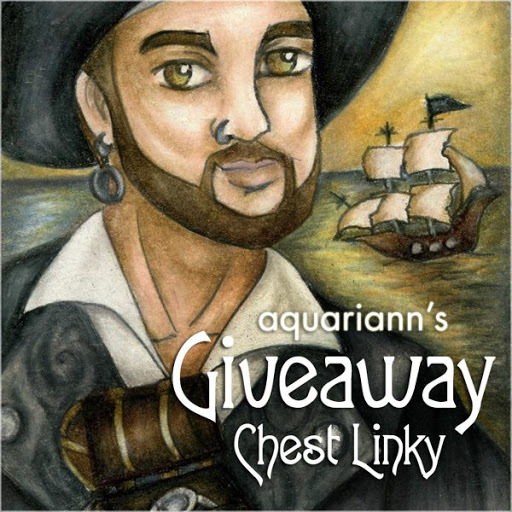 Thank you for providing such a wonderful item in this Giveaway!!! There are so many gorgeous things at the shop, though. I love the Silver Branch bangle! I love all the rings but my absolute favorite is the sapphire and diamond halo ring! I love the Twig Rings! Gorgeous ring, would compliment most of my current pieces. The prize is my favourite item, because I love simple rings without stones. I can wear them everyday, without worrying that it doesn't match my blouse or something;). My favorite piece of jewelry from Kate Szabone is the Orchid Bloom Stud earrings. I also like all the cushion cut rings. Generally, I enjoy a lot how she mixes precious metal with textures from nature like twigs, mushrooms, petals..Very pretty and feminine collection of precious little things. My grand daughter would love the ring that's featured! What a beautiful piece! I love Scalloped Marquise, Diamond Eternity Band! love the diamond etruscan band! The Bezel Set Twig Ring is stunning! I love the Round Diamond Half-Eternity Band!!!!!!!!!! and i LOVE bangles and branches so these are really speaking to me. I love the natural, almost rough look to the jewellery. It's exquisite. I love the Petite Diamond Rings. They are gorgeous! Your whole shop is lovely. The champagne diamond feather ring and the Branch Bangle Silver are my favorites! I love the Silver Branch Bangle. I LOVE that silver wreath ring!! It's so simple and elegant...you're jewelry is so lovely because its inspired by nature - can't go wrong there! The gold seed ring is also pretty. Gorgeous! I love the BEZEL SET BLUE SAPPHIRE HALO RING. i love the bezel set twig ring. That is so pretty! Wow, just fell in LOVE with the Bezel Set Blue Sapphire Halo Ring! VINTAGE PETAL DIAMOND RING is gorgeous!! Antique Square Moissanite and Diamond Halo Ring! i would love this! The blue lace agate is gorgeous! Love it. I love the Eucalyptus Bud Necklace! I love the "Rose Bud Stud Earrings." They are beautiful! I love the "PADPARADSCHA SAPPHIRE AND DIAMOND HALO RING"
My favorite is the Bezel Set Blue Sapphire Halo Ring. My favorite was the very unique CHAMPAGNE DIAMOND FEATHER RING. I love the white gold diamond left halo ring!! I love the Antique Sqaure Diamond Ring! Oh my goodness, your jewelry is too gorgeous! I love the earthy theme. The leaf band ring is to die for! I like the organic double oval necklace! Love the Bezel Set Twig Ring!! love the 7stone bezel set band. <3ing the vintage petal diamond ring! 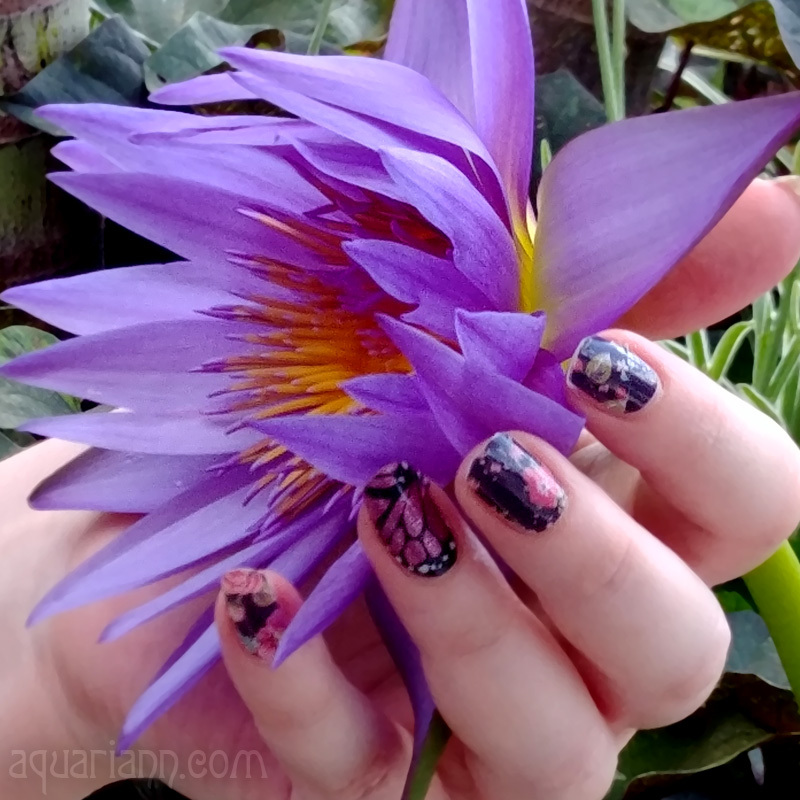 It looks lovely on the hand! I really like the branch silver bangle. 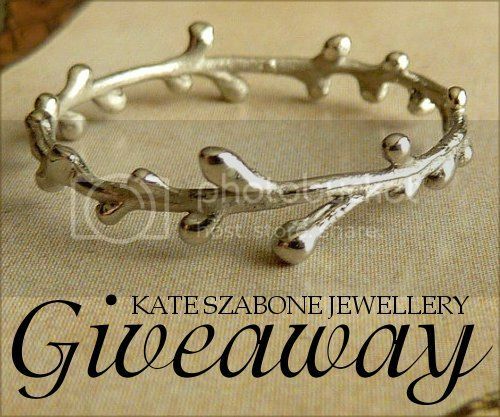 Theres a number of different Kate Szabone pieces I like I really cant choose! Love the Bezel set champagne diamond ring...If only I could afford that beauty! The Spessartite Garnet and Diamond Ring is really striking. Love the ring you are giving away, very nice..thanks for great contest!! Love the diamond halo ring...very very nice!! Thanks for contest!! Like all your jewelry. I've been following Kate evolve her collection for over a year now and with each new piece I fall even more in love. What a wonderful giveaway! The Vintage Petal Diamond Ring is breathtaking.Wow. I like almost everything, right now I drawn to the Branch Bangle Silver. Wow, lot of really pretty jewelries, it's hard to choose. But, the Scalloped Bezel Moissanite ring really caught my eye. It's simple yet elegant. I love the silver branch ring, it's delicacy makes it stunning! I absolutely love this ring!!! I love the Bezel Set Champagne Diamond Halo Ring!! Gorgeous. Love the River Rock Band with Blue Sapphire Ring. i like the Bezel Set Twig Ring. You have such beautiful and unique jewelry. Love the rings! I like this ring and the rose bud stud earrings. Scalloped Marquise, Diamond Eternity Band. Beautiful things!! Love the Petite Bezel Set Diamond Band! Bezel Set Blue Sapphire Halo Ring, so pretty. Adore the branch Halo Stud earrings.